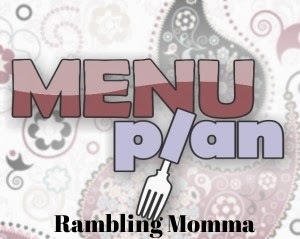 To keep my self motivated to do this menu planning, every Monday I will post my Menu plan for the week, if there is soemthing you see that you would like the recipe for, feel free to ask because I would love to share with you . I have never menu planned and think that my entire family would benefit from it. Thanks for the inspiration! Honey garlic chicken sounds amazing!!! Hockey Night sounds like fun. I so need to make a meal menu. Thanks for inspiring me! It always helps me to do a weekly menu as it keeps me organized. I have to do menu planning. I keep putting it off and making the same dish, lol! Roast beef dinner is a classic. I love making prime rib. Menu plans are a great idea. I haven't done them because lately I have to buy as I have money lol. But your dinners sound awesome and I bet it helps keep less stressed.